Campbell Mellon was born in Berkshire on June 16th 1878, but it was not until 1903, when his business career took him to Nottingham, that he first began to paint seriously. He was fortunate in being taken under the wing of Carl Brenner, a nephew of B.W. 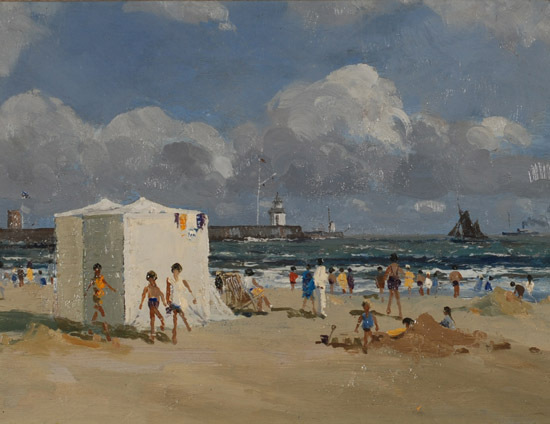 Leader, R.A. After the First World War Campbell Mellon and his wife moved to the seaside township of Gorleston, Norfolk. This was a turning point in his life. It was here that he met Sir J.S. Arnesby Brown, then at the peak of a creative ability. There was a great affinity between the two men and the encouragement and tuition Mellon received from him dictated the path he was to follow. Nevertheless, he refused to permit his own individual spark to be extinguished by the other’s genius. 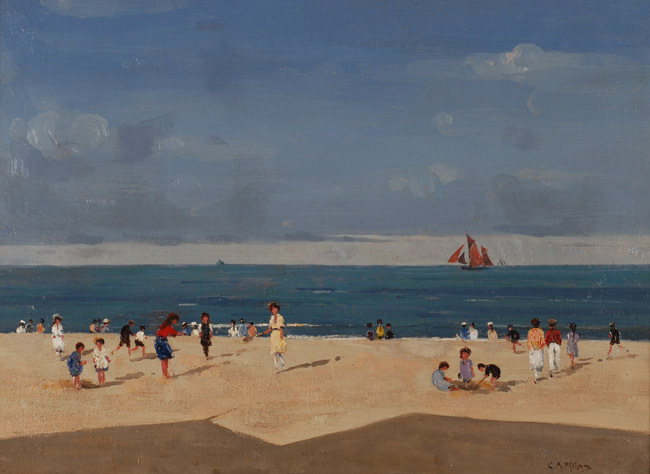 His first picture to be exhibited at the Royal Academy, in 1924, was a beach scene entitled ‘Yarmouth – August Bank Holiday’. From 1924 (when he was 46) until 1955, Mellon was a regular exhibitor at the Royal Academy and had more than 50 canvasses hung in the Society’s prestigious galleries. 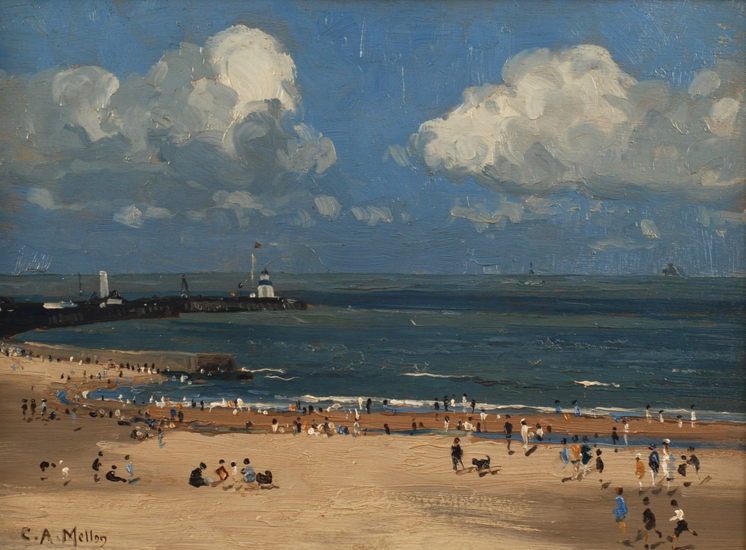 Campbell Mellon loved to paint the beach at Gorleston while looking into the sun. The play of light on sand and water fascinated him. His skies are never a matter of perfunctory filling-in and, whether an untroubled blue or heavy with huge cumulus clouds, they are an integral and often dramatic part of the composition. In 1938 C.A. Mellon was elected a Member of the Royal Society of Oil Painters and of the Royal Society of British Artists the following year.He died in Gorleston on August 28th, 1955.